Earlier this week, Jenn and I had a little "ladies night" after work. No, there was no skeezy club involved. We just happened to hit up a couple lady-centric events and enjoyed a couple glasses of prosecco along the way. Not bad for a Wednesday night! 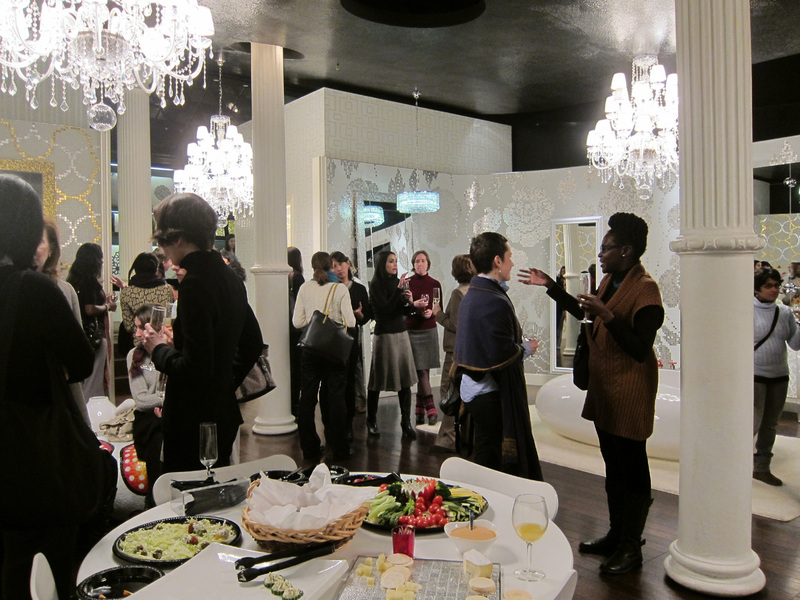 First, we attended a Women in Architecture happy hour at the Bisazza showroom in SoHo. 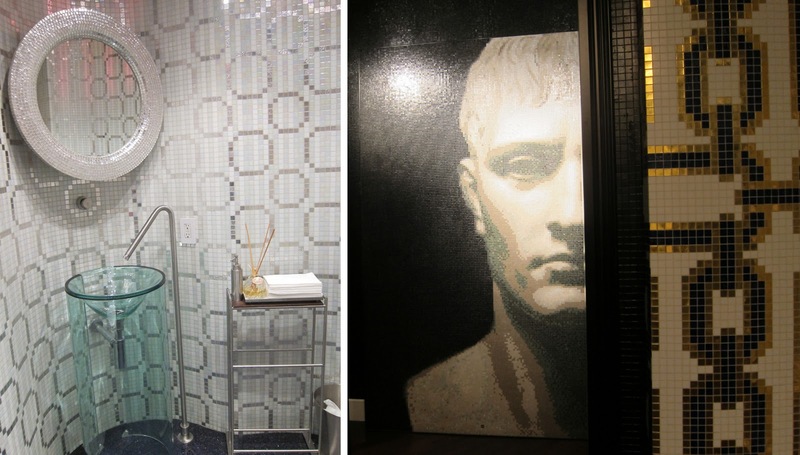 Bisazza makes these incredibly intricate and flashy glass tile mosaics. I love their showroom. 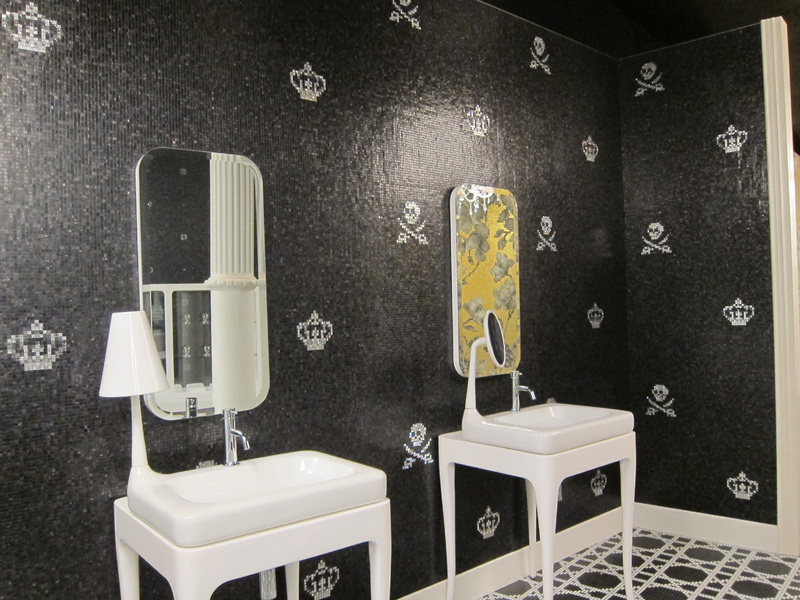 Who doesn't need a skull and cross bone motif on their bathroom walls? I'm sold. Then we made our way to our first bi-weekly GIRLS viewing party of the year. We're only a couple episodes in and I am already pretty excited about this season! If you don't watch, you should start immediately. It's that good. Thanks for hosting us, Andrea! It's terribly cold in New York. 10 degrees is the lowest I've experienced yet. I have no desire to see what single digits are like. This about sums up my attitude from now until March. Anyone else wish they were at Alt Summit this week? It sounds like a lot of fun. Luckily, they are having a mini conference in NYC this summer (that weather is more my speed anyway). I'm hoping it's not too expensive because it would be fun to check out. Who's with me? My boyfriend and I joke that the characters on TV shows we watch are our "friends". I could definitely use more time with my Girls "friends" each week. An hour isn't too much to ask for, is it? The whole show is just so entertaining! sounds like a wonderful ladies' night! and yes, i've been watching "girls" and loving it - it's the best! Love Girls. I want to run into them filing around Brooklyn sometime! The burrito of sadness is ridiculous. Although you could look just like that if you wanted to borrow my mummy sleeping bag. FIRST, your new blog design is AAAAAMAZING. I love it. ADORE IT! SECOND, I need to get on the Girls train. Soon! **the wedding is IN NYC! I'm so excited about all this. I'm smiling like a FOOL. SECOND, you should get on Girls asap. Best to watch with girlfriends or sisters too! THIRD, you should TOTALLY come to NYC for Alt! I think it's really fate that you will already be in the city and have time to kill. It couldn't be more perfect! Ladies night is THE BEST type of night - and yes, i'm already loving this season of Girls, and am SO happy they won at the globes - they deserve it!! I am happy Girls has gotten recognition from all the awards organizations. Somehow Lena Dunham makes me feel really under-accomplished since she is so young and doing great things. On the other hand, her character Hannah makes me feel like I've got it all figured out! :) Hopefully I actually fall somewhere in between. Thanks, Laura! I will be sure to check out your blog. 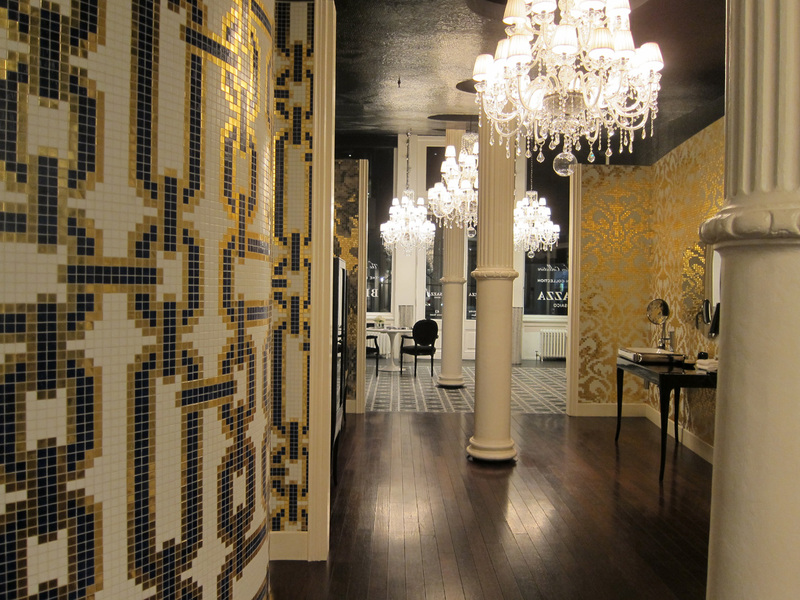 the bisazza showroom looks amazinnnggg! have you ever been to beauty and essex? it's a great place for a girl's night. free champagne in the ladies room! Free champagne?! I'm there! Thanks for the tip!